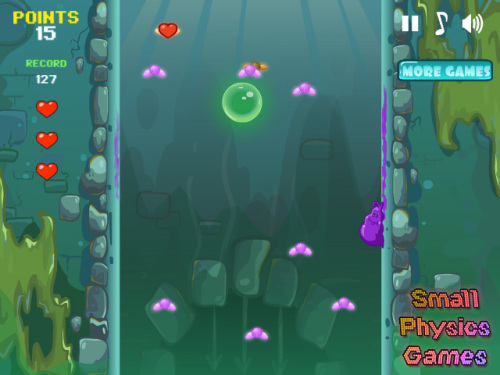 Description Sticky Jump is a fun game where you have to jump between the walls, eat flies and dodge toxic bubbles. For earned points the player receives new ranks and various achievements. Also, the player can buy upgrades in the store.